Kritters Ramblings: Where went May? 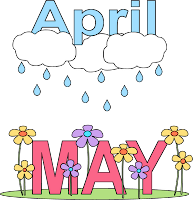 Oh My what a MAY! I always say this, but I can not believe how much reading I got accomplished. I am still ahead on my yearly goal which is such a good feeling knowing how much my personal life is going to affect my reading in the next few months!